In order to reach excellence, each day we give our best, because we always seek to offer our clients a truly memorable vacation experience, which will make them become repeat visitors who enjoy their stay with us. Therefore, we´re proud to share our philosophy with you, as it is our guide, and reminds us what is our goal and what we are trying to reach. Vision: To be a leading company in hotel operation under the concept of all-inclusive, distinguishing ourselves by a factor of entertainment and fun, keeping our competitiveness and constant innovation in order to maximize our partners' profitability. We always act positively because we love our labor. We carry out our duties in a harmonious and respectful environment in order to instill our attitude from the inside. We give our best in order to turn our guests' stay into an unforgettable moment. We always seek to offer something new, which surprises our guests. We work hard to exceed expectations, paying attention to each detail. Oasis Hotels & Resorts is a hotel chain that boasts five resorts, divided into twelve hotels in the Mexican Caribbean: nine of them are located in Cancun, while the other three can be found in Tulum, Riviera Maya.  The three main Oasis Resorts are located in the Cancun Hotel Zone; seven resorts featuring different concepts, all of them with all-inclusive plan. The Sens complex is divided in two luxurious adults-only hotels, the Palm complex also consists of two perfect hotels for traveling with family, provided their facilities designed especially for children; on the other hand, the group’s biggest complex is Cancun, which is divided into three hotels filled with entertainment, diverse shows and international events, in addition to a series of highly acclaimed restaurants. The other two Cancun hotels are located in the city downtown, and are perfect for business trips and for those who seek to stay close to convenient locations. Considering that Quintana Roo is mainly a tourist state that offers hospitality service, and provided Oasis Hotels & Resorts is part of this industry, Fundación Oasis was born in 1998 as an initiative to satisfy the demands of a developing destination, as a second story institution; that is, an organization that endorses, unites and relates to other altruistic organizations, supporting their programs, therefore improving the community's quality of life. The core ideas where its projects are base on, are: culture, community, disability, education, health, and environment. Its slogan is: "To collaborate with others is to build a better world"